Trenton HT-3000 Wax-Tape® is a specially formulated wax-based tape used for corrosion protection of metal pipe and fixtures experiencing higher than normal temperatures. When used in combination with Trenton Temcoat™ 3000 primer, this easy-to-apply tape delivers highly effective and durable corrosion protection to bare or coated surfaces in a wide range of field conditions. HT-3000 Wax-Tape can be applied and will perform effectively at continuous operating temperatures of up to 230°F (110°C) and is designed for use in aboveground and belowground applications. Remove all loose rust, scale, paint, ice, dirt and other foreign matter with a wire brush (SSPC SP2, ISO St 2). Wipe surface dry, if possible. Coat pipe surface with Trenton Temcoat 3000 primer by hand, ensuring an even, continuous film of primer over all exposed metal surfaces to be wrapped. With a downward-facing starting point, wrap Trenton HT-3000 Wax-Tape onto pipe in a spiral pattern using a minimum 1" overlap. When wrapping, apply tension and press the tape onto surface. After wrapping, rub the entire surface of the tape to remove any air bubbles and to smooth the surface. Press the overlap seams and ensure they are sealed and tapered, especially on each end of tape application. If ambient work site temperatures are below 50°F, keep tape warm before application. 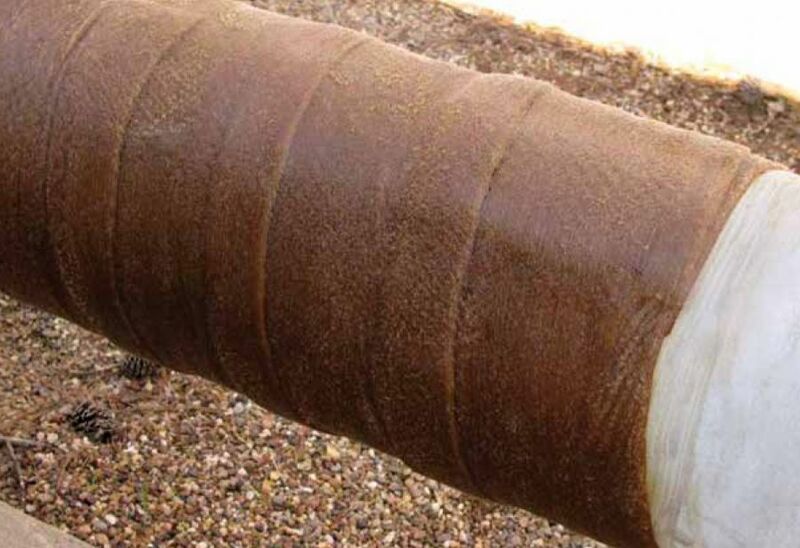 Trenton MC Outerwrap™ should be used for applications requiring substantial mechanical protection or where contact with the sticky exterior might be a problem.